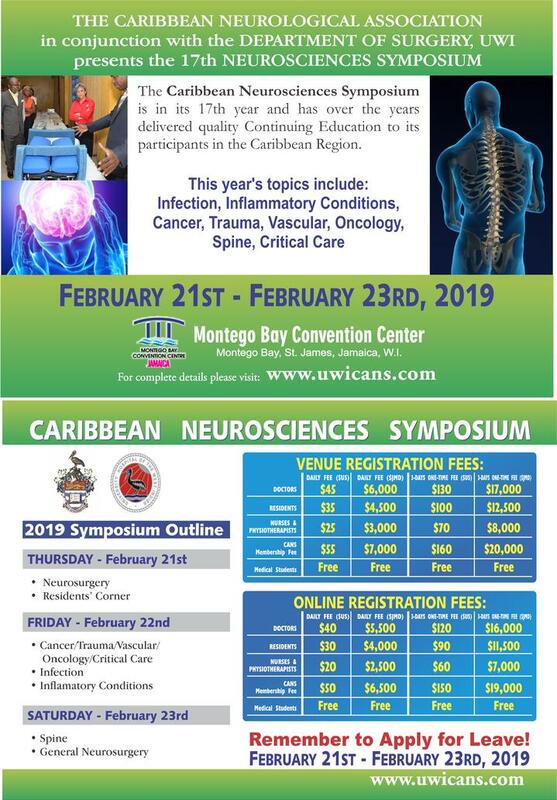 The Caribbean Neurological Association in conjunction with the Department of Surgery, Radiology, Anaesthesia and Intensive Care, University Hospital of the West Indies will be hosting the 17th Annual Caribbean Neurosciences Congress and Symposium (CANS) at the Montego Bay Convention Centre Jamaica from February 21 - 23, 2019. The symposium will be organized and hosted by the Caribbean Neurological Association along with the division of neurosurgery at the University Hospital of the West Indies. We have continued this venture as it provides: critical updates for our doctors, invaluable teaching for our residents in training and also an opportunity for the trainees to interview for electives and fellowships with our visiting faculty. The symposium will be two tiered. 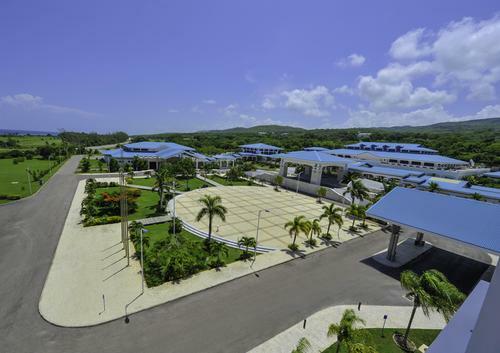 There will be a workshop as well as interactive lectures at the Montego Bay Convention Centre.